“Coming Soon” free wordpress theme – something that we can develop in a day, can be useful in lots of different ways and Can be customized as per the user’s choice. Just before few minutes we completed the development of this theme and here’s the theme for you to download. 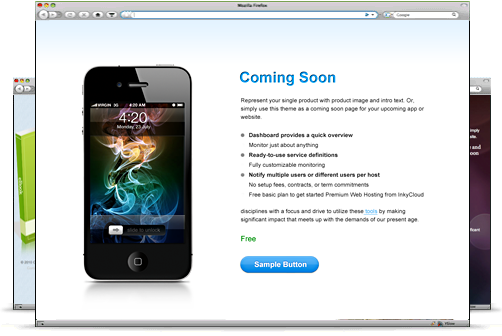 Showcase your digital product by creating a very quick website by previewing screen shots. Use this theme as a list builder by enabling Feed burner Subscription Form from the design settings. Any other way you want. 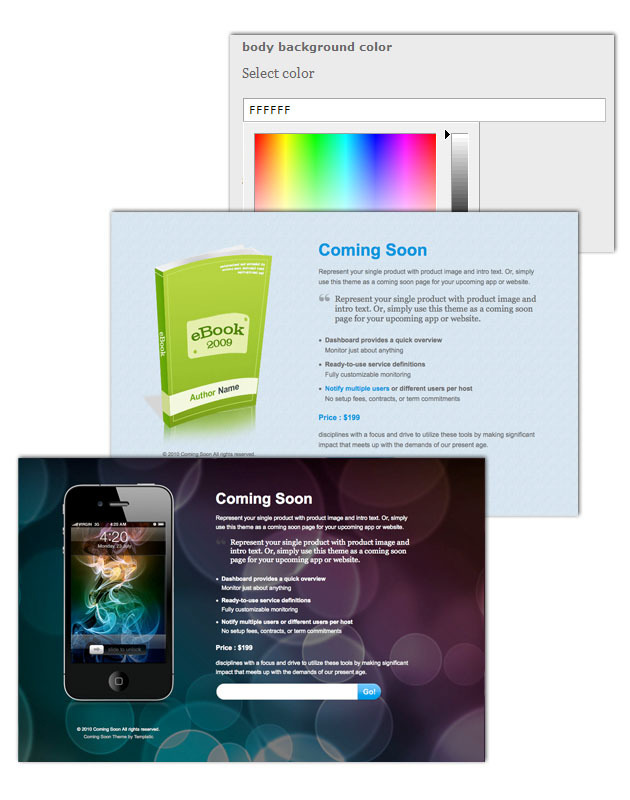 In the design settings, we have provided all the options to choose colors of your choice in every aspects of the theme. You may change fonts, background color or image, content color, product image and so on. So, your imagination is the limit. Be a little bit creative and create a unique design for yourself. The color picker will help you choose any colors of your choice without having to know exact color codes. Check some of the quick customization we did with this theme.